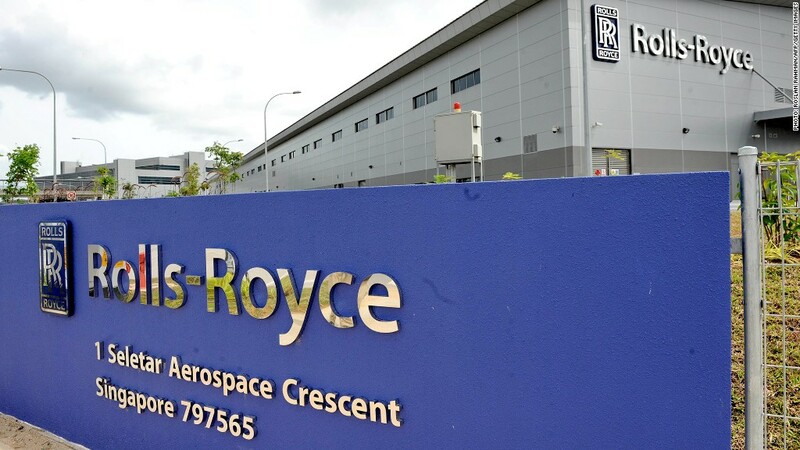 Aircraft engine maker Rolls-Royce may face prosecution over allegations of corruption in China, Indonesia and other international markets. The company, which began life as a luxury carmaker, also provides power systems and services to the defense, marine and energy industries. It said it was cooperating fully with the U.K.'s Serious Fraud Office in an investigation into activities involving intermediaries. "The consequence of these disclosures will be decided by the regulatory authorities," Rolls-Royce (RYCEF) said in a statement. "It is too early to predict the outcomes, but these could include the prosecution of individuals and of the company." Rolls-Royce shares fell 2% in early trade in London. Another British defense contractor, BAE Systems, paid over $400 million in fines in 2010 related to corruption investigations in central Europe, the Middle East and Africa. China and Indonesia have both lost ground in their efforts to tackle corruption over the past 12 months, according to a survey published this week by Transparency International. The anti-graft campaign group's 2012 index ranked China 80 out of 176 countries, down from 75 in 2011. Indonesia was ranked 118, down from 100 in 2011. The index is based on perceptions of corruption in the public sector. China's outgoing president Hu Jintao warned last month that failure to tackle corruption could prove fatal to the Communist Party and the state. Rolls-Royce said it would appoint a senior independent figure to lead a review of the company's current procedures. "I want to make it crystal clear that neither I nor the Board will tolerate improper business conduct of any sort and will take all necessary action to ensure compliance," Chief Executive John Rishton said. Rolls-Royce annual underlying revenues were £11.3 billion in 2011, of which more than half came from the provision of services. It employs 40,000 people, including 11,000 engineers, in over 50 countries.